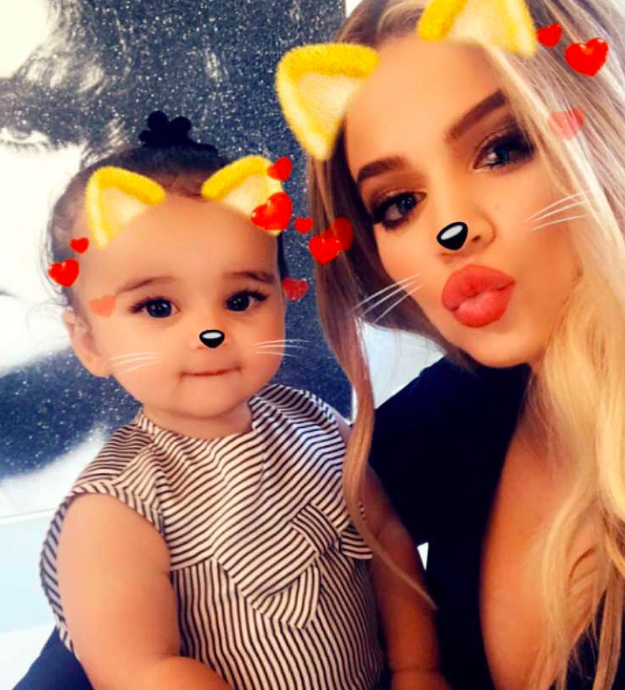 People Are Losing Their Minds Over Khloé And Kylie's "Baby Bumps"
Last month, a source with knowledge of the situation confirmed to BuzzFeed that both Kylie Jenner and Khloé Kardashian are pregnant with their first children. Kylie's baby with Travis Scott is due in "January or February," while all we know about Khloé's pregnancy is that her due date is sometime after Kylie's. But because neither Khloé nor Kylie have personally announced the news, people have put on their detective hats, produced their magnifying glasses, and set about analysing the hell out of any social media posts they share, hoping to catch a glimpse of their ~baby bumps~. Things started after Khloé shared this image, which led to people immediately saying they could see a bump. And she shut that speculation down pretty quickly. However, things have kicked off again after Khloé posted this photo with Tristan Thompson earlier this week, in which there are no signs of a bump. It confused people at first. But then they began speculating that Khloé had Photoshopped her bump out. The speculation became more intense when people noticed that Tristan's finger – which is resting near her stomach – looked distorted, which is what happens when images have been altered. But if you look closely, you can see it is still there – it's just bent over. Furthermore, on the season 14 opener of Keeping Up With The Kardashians, we got a tour around Tristan's Cleveland home, and the photo definitely wasn't taken in his backyard either. So, I think that this photo was actually taken during a vacation a while ago. "Which vacation," I hear you ask? 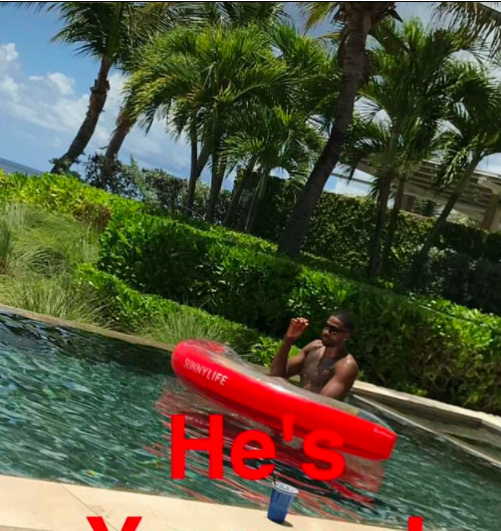 Well, the vacation they took back in June, where Khloé shared this Snapchat of Tristan in a pool looking virtually identical to the one in the photo. And if you're still not convinced, on the same day as she posted the photo with Tristan, she also shared two photos of herself in LA with completely different hair and makeup. We know it's LA because a) that's her glam room at home and b) she's hanging out with Dream. Because people are also losing their damn minds on Kylie's social media. Since Kylie's pregnancy was announced, she's all but disappeared, being photographed publicly just once, avoiding family photos like the one below, sharing old selfies on Instagram, and ensuring only her face is visible in Snapchat videos. Me looking at every Snapchat Kylie posts to see if she slips and shows a baby bump. However, yesterday she shared this Snapchat in which the tiniest amount of torso is visible, leaving people convinced they could see a ~baby bump~. And they all got very excited. Others, however, remained extremely skeptical. So, I'm sorry guys. It looks like we'll be waiting quite a while before either Khloé or Kylie shares an indisputable bump shot.